June 2016 - my name is Food. 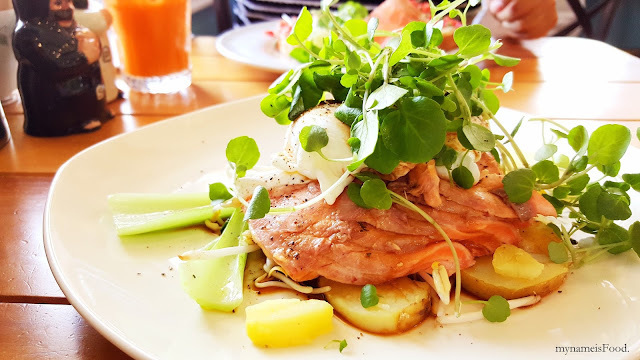 Wanting to dine at a Modern Australian restaurant with views of the river, head over to Portside Wharf and you could find yourself sitting here at Belvedere. 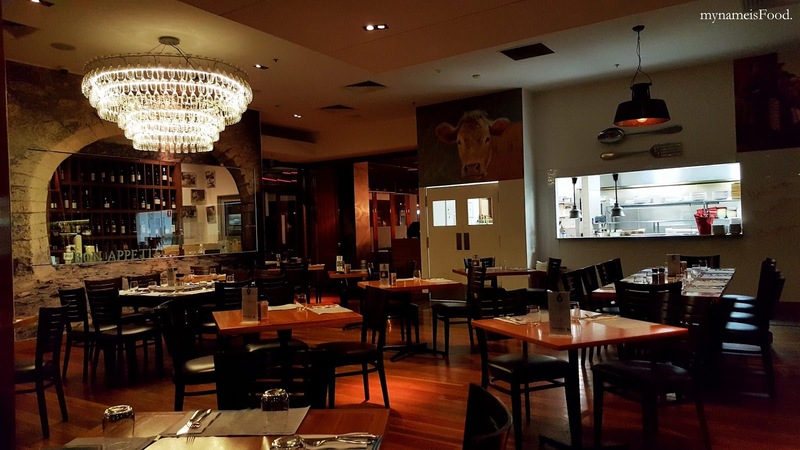 An environment perfect for a date, a birthday party or just simply a gathering with a variety of dishes offered on their menu ranging from cold entrees to pasta or if you feel like mixed grill or even seafood or steak, Belvedere's menu will suit any tastebuds. What intrigued me about the restaurant would be first, the glass display in front of the restaurant showing dry aged beef. Although I have always been a regular at Portside dining here and there, I never gave myself the time to try it here and so since we wanted to try somewhere new, we figured that here would be a good choice for a date night. 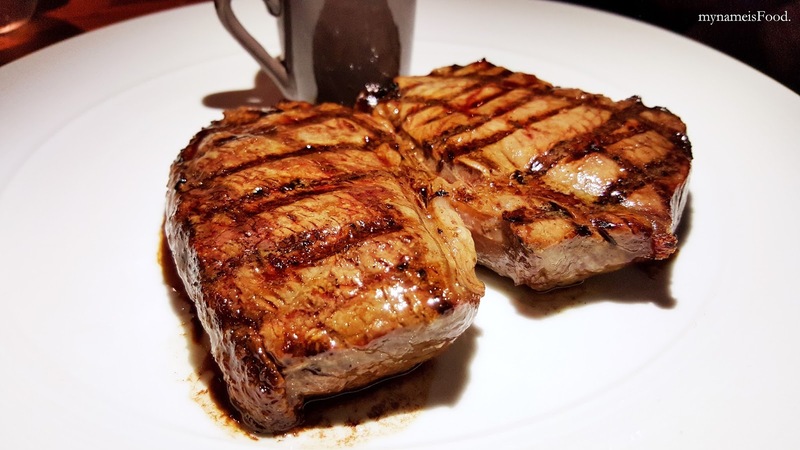 'Eye Fillet (200g)' ($38) was pasture fed and a certified organic beef from Central Queensland. It is always great to see that local community is being supported by each other by sourcing out beef from our own Sunshine state. There are a few choices for sauce in which I picked Mushroom sauce. The mushroom sauce seemed to have been reduced quite finely but it is nice to see the bits within it. 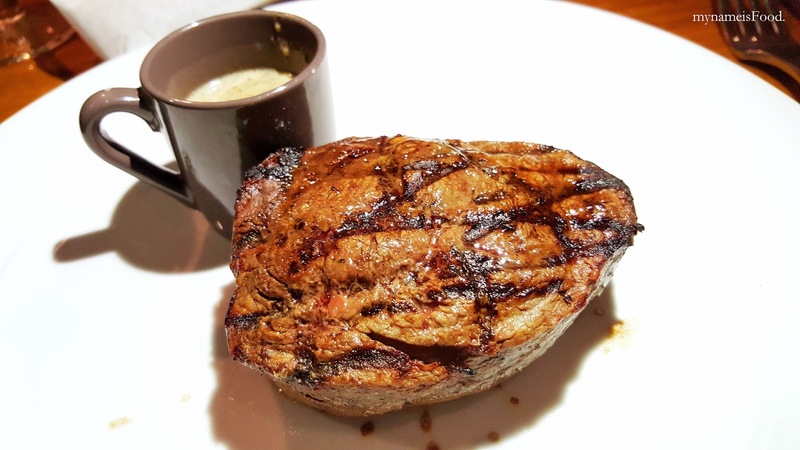 Every restaurant has their own way of serving and making their steak sauce. 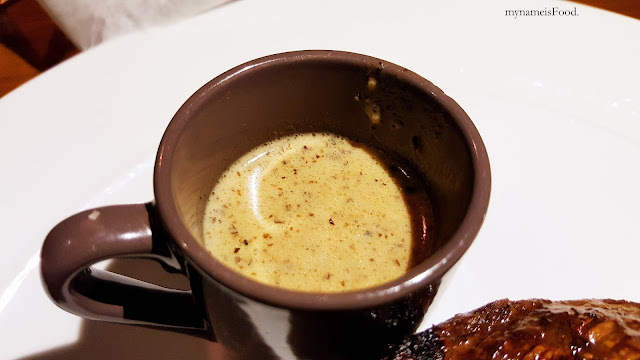 The mushroom sauce was subtle but had the right amount of mushroom punch although I personally do like it if it had a stronger punch and taste. It was also very thin in terms of liquidity. 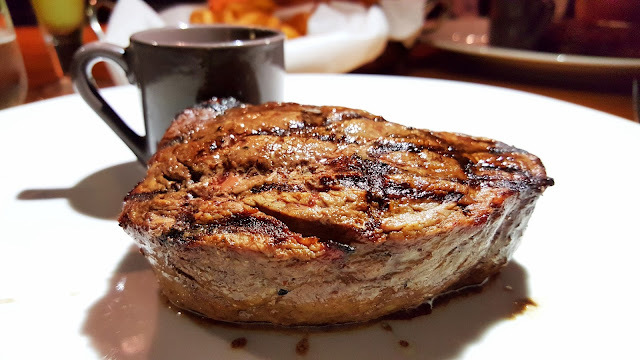 The steak was done well as asked which was great. 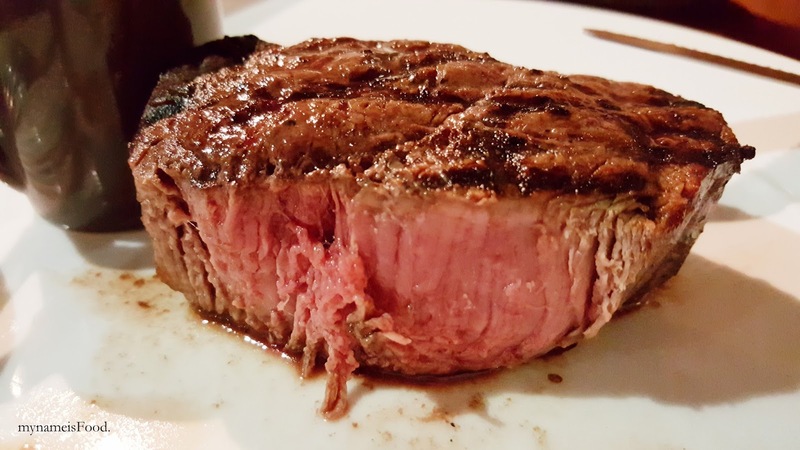 A fine meat indeed, you are able to see it when you slice through it as well as when you place a slice in your mouth and as you chew it, you are able to taste the tenderness and juice as it oozes out. All steaks are served with steak fries, and I do have to say that these were cooked very well, golden and crunchy on the outside and moist on the inside, although it was a bit too salty. 'Rump (350g)' ($36) was grain fed for 70 days and a type of riverina angus beef from New South Wales. 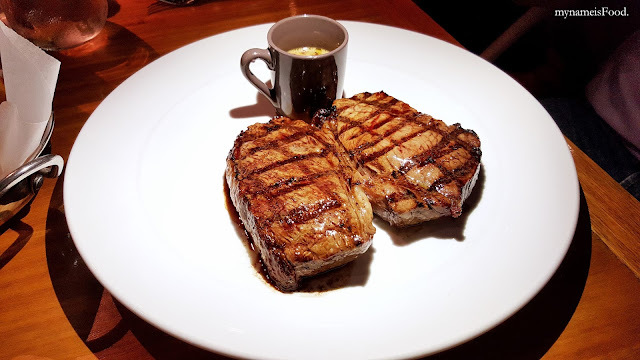 It is nice to see the strong grill marks left on the steak which gives it not only the smoky flavour but also the little burnt bits and allows the steak to ooze out the juices everytime you slice through it. 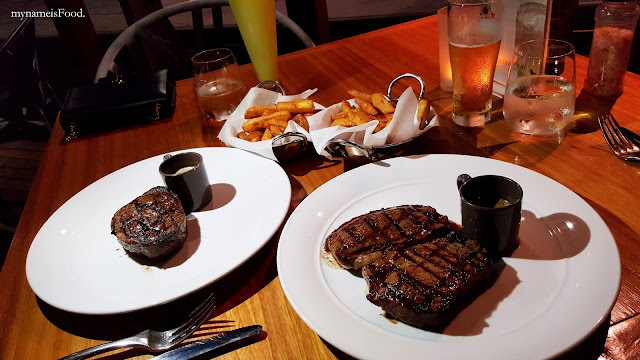 The steak was cooked abit under than what we had asked for but it didn't bother us too much but if it was cooked just the way we had liked it to be, then that would have been superb. The pepper sauce was actually not bad even if I do usually prefer real peppercorn pieces within pepper sauce. Sometimes reduced pepper sauce can have the most subtle hints and some, you won't really taste much of the pepper at all. 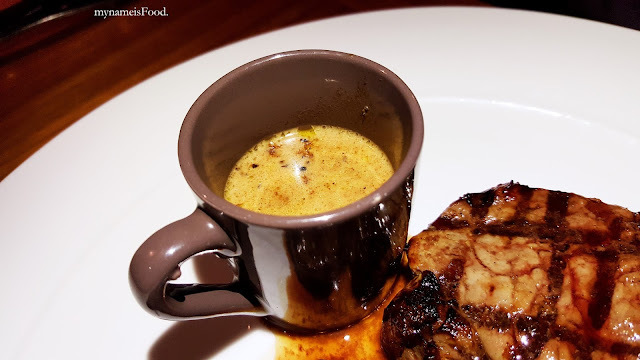 However, this still have those pepper hints here and there which doesn't happen consistently but makes you instead have little surprises everytime you dip your steak into the sauce. When you feel like a sweet treat, when you need to buy a cake that will definitely brighten up someone's day or someone's special day, when you need to catch up with friends and looking for a place where you can have not only coffee or mikshakes but also some beer or mixes as well as having a nibble of this and that, then you've ought to come here. No need to ask why here? But if you haven't, then you're missing out on quite alot.. Where the cakes reminds you of the cakes on instagrams, where the atmosphere isn't too classy nor too casual, where you can feel like you're back in chocolate land and there's no problem in being a kid again or just simply eating your favourite rainbow cake or extra super duper chocolate cake.. *Please note that this is a delayed post so menu or the cakes may have changed. Apologies for any inconveniences.. I hope you will still be able to enjoy this review. An old fashioned cottage with a homely setting lies on Homebush Road with its own long history going back to the 1930s. 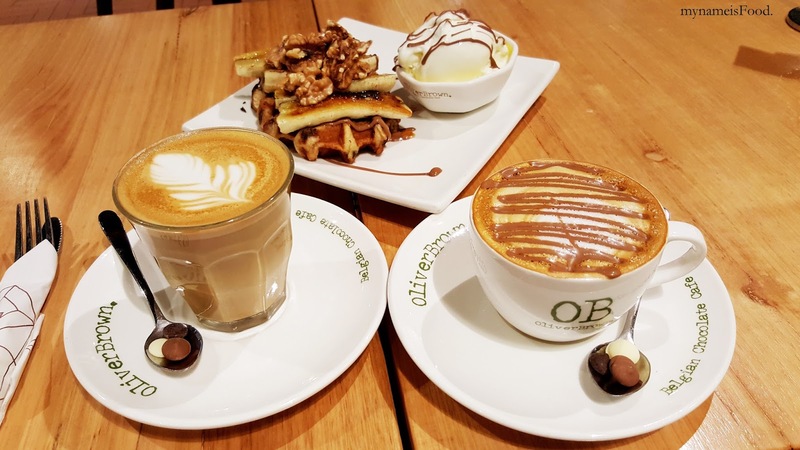 When it opened, it sure did bring many smiles on the Northside locals as there seem to be a lack of breakfast places and even brunch that was located at the Northside as most of it were around the CBD precinct or around West End, Kangaroo Point and many more. 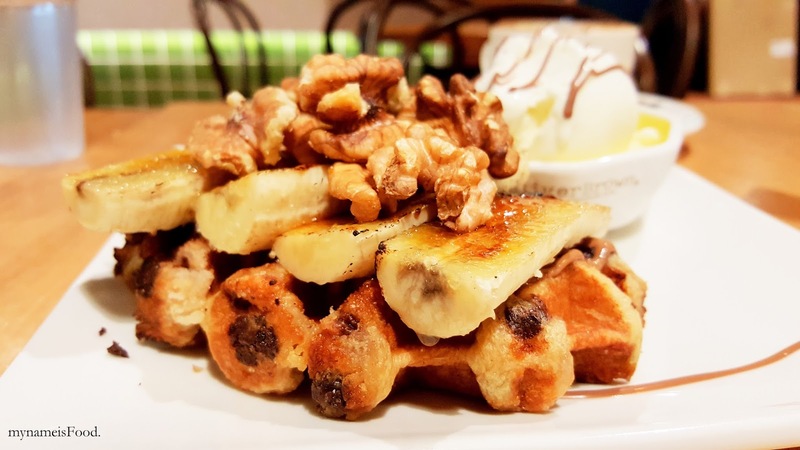 Maybe, you could even count by your fingers with how many brekky/brunch places there are in Northside. 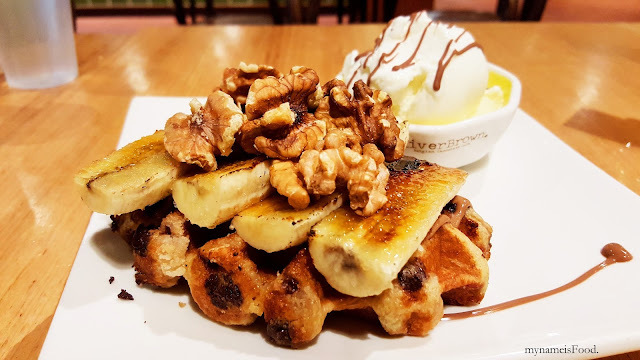 Having an all day breakfast and lunch dishes prepared on premises allows the locals to enjoy classic and modern breakfast as well as indulging on sweet treats. Sunny Seoul is always a great place to go for Korean BBQ, though they seem to be in a more humble and casual setting, don't underestimate their quality as well as portion of food. 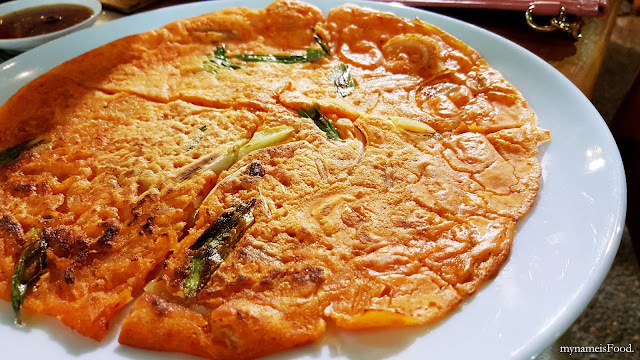 With more Korean restaurants around, it can be said that the newer restaurants are getting more crowded than the older ones. 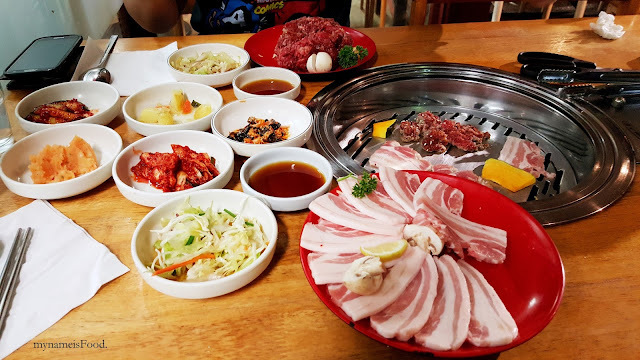 Nearest to Sunny Seoul, there are about 3 to 4 other restaurants nearby which makes it abit of a challenge when wanting to go for BBQ and deciding where to go. With Sunny Seoul, the best part about it would be the friendly customer service as well as their variety of side dishes..
One of the best places to get KBBQ along with 6 different variety of side dishes that are both delicious and refillable. Ranging from kimchi, marinated cucumber and sesame seed, mash sweet potato, cold creamy glass noodles and so on.. 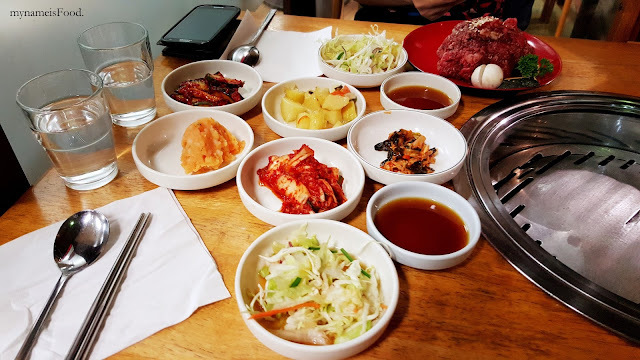 It seems that other Korean restaurants don't seem to be giving their diners this much side dishes, well, don't compare it to buffets of course but instead your usual KBBQ restaurant. 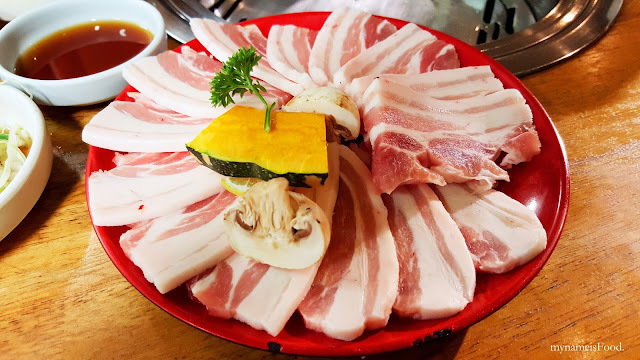 'Pork Belly' ($18) is definitely one of the most popular meats in BBQ as well as I do feel that it is one of the best or even the best. 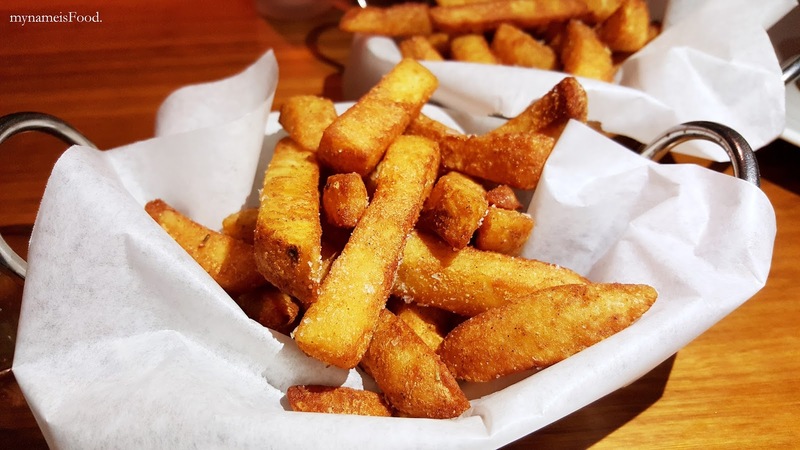 Although some of the restaurants do offer 2 different types of cutting whether it may be thick sliced or thin slices. 'Marinated Beef' ($18) is simple but delicious though it did seem like they just chucked a whole big spoonful of it on a plate and placed a few veges on the side. 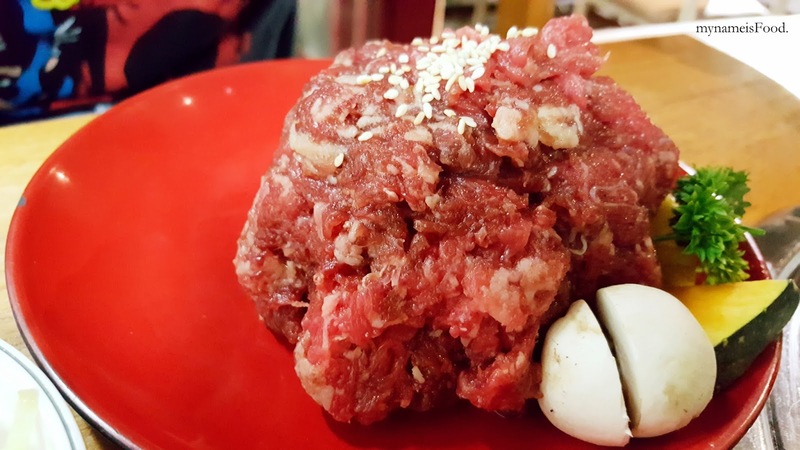 It is more of a minced beef marinated in bulgogi sauce which is one of their beef dishes usually served with warm rice on the side. Also, on the menu it does say the meats are served with assorted vegetables which people may find it abit err in a way where it could've been presented in a way that actually mean what it says. Instead, it always only consist of a mushroom sliced in half and a slice of pumpkin. 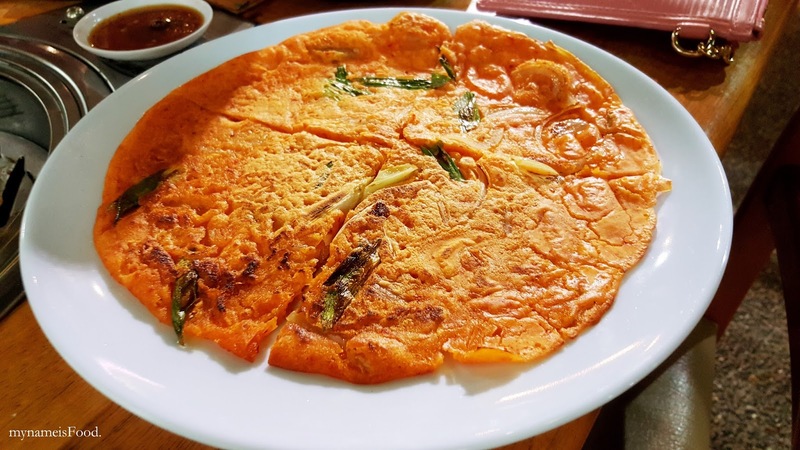 Pretty sure they could've given abit more than that..
'Kimchi Pancake' is great when sharing and also wanting something on the side instead of soup or dumplings. I would recommend pancakes more than dumplings to share. Also, a nice tip of what I like to do is by placing a slice of the pancake onto the grill to make that smoky flavour and also heating it up at the same time. The kimchi taste was there but I'm unsure if they do use just powder or real kimchi in it. 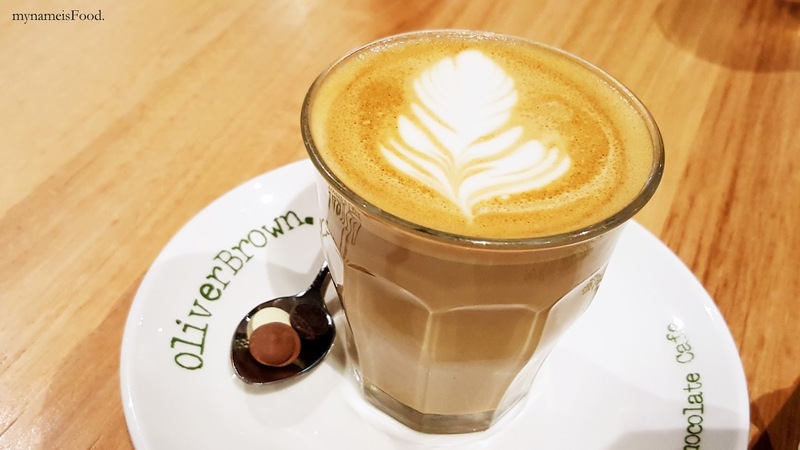 Oliver Brown, reminds me of Oliver from Snoopy although they don't have any relation whatsoever, but somehow it always reminds me of Snoopy. 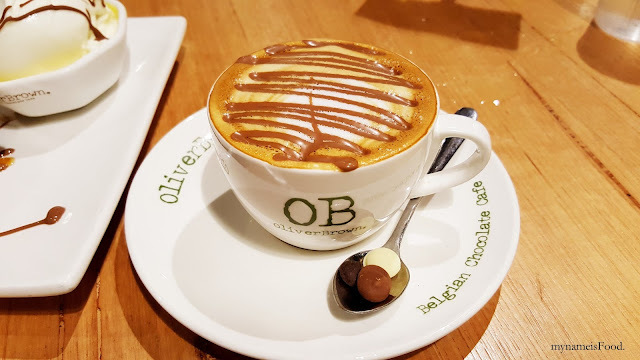 Hailing from Belgium in 2009 when two friends discovered the taste of authentic Belgian chocolate and was obsessed with it. 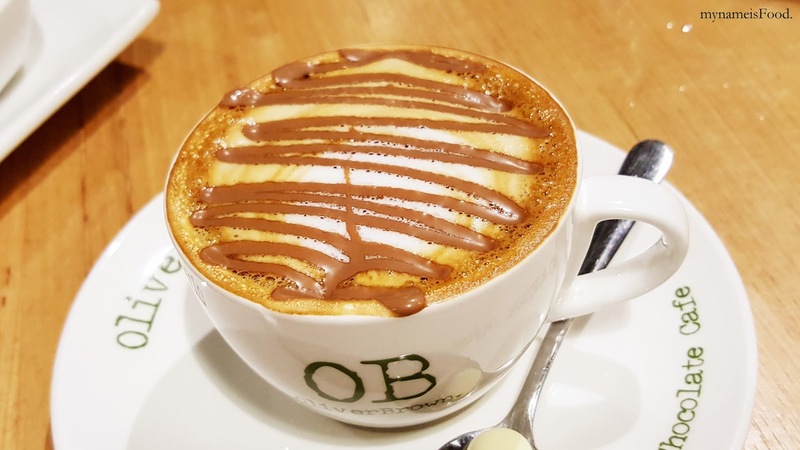 This is a great substitute for you if you can't be bothered going to Max B or San Churros as it is conveniently located in Westfield Garden City which is great allowing you to have a coffee break or even just a nibble when you're tired or meeting up with friends or just had enough of shopping. 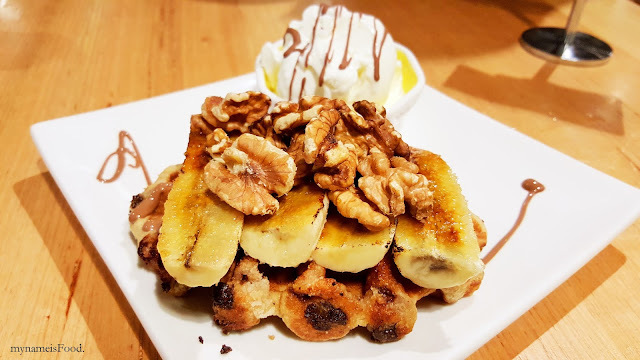 'Grilled Banana Walnut Waffles for one' ($13.5) consists of a single waffle, grilled bananas, walnuts, vanilla ice cream drizzled with premium milk belgium chocolate. A portion for one was enough for us as we didn't want to eat too much since we just had lunch. So a coffee break was ideal for the both of us, not wanting to go shopping as much and plus, we were quite lazy I guess. Ordering the grill banana walnut waffles was just perfect and compared to the other desserts on the menu, this just seemed to be the one that caught our eyes together. 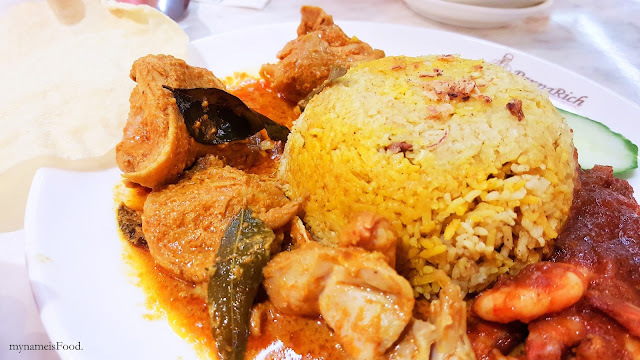 One downside was that the whole dish just went cold quite quickly so do try and eat it quickly. 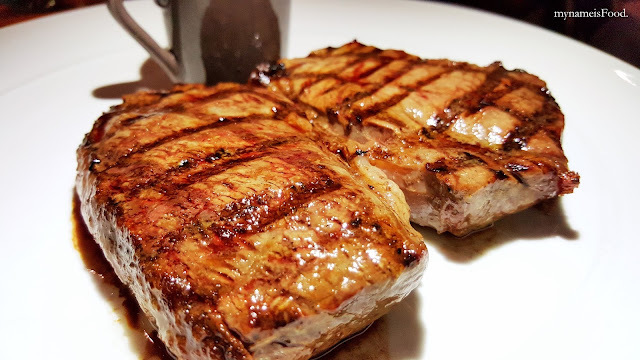 It is nice to see the grilled marks giving the smoky residue as well as smoky flavour. 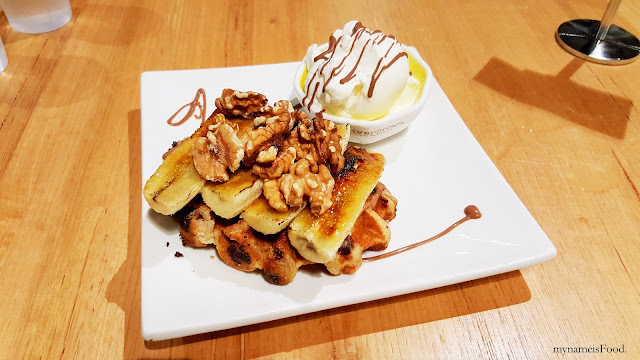 Papparich is conveniently located in Wintergarden and with an extensive menu filled with a wide range of dishes ranging from Indonesian, Malaysian and Chinese, it also allows you to browse through beautifully photographed food dishes. 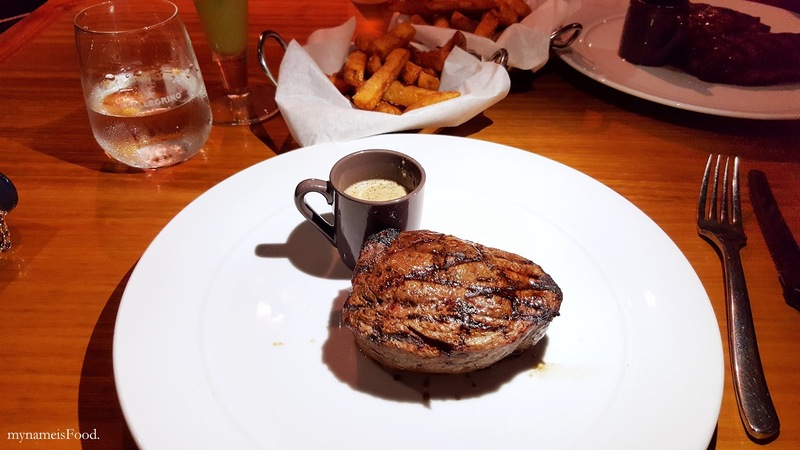 How it works is that each of the items in the menu are numbered and for you to order, you would need to jot down the dish or drink numbers using a pencil given to you on their order notepad. Afterwards, just press the button on your table and wait for the waiter to collect your order. Simple and easy, allowing less disturbance in being interrupted continuously if you're ready to order and also less confusion and wrong ordering.